I know it is still July but school is going to be here before we know it. I have already started prepping for my 3L year; ordering books, buying supplies, getting binders organized, etc. I kind of love back to school time and back to school prep so I am loving it. As I am getting my binders ready for Fall semester, I usually write down a few of the important assignments, due dates, etc on a sticky note in the front. 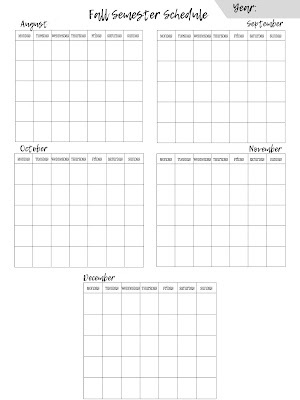 After years of doing that, I finally decided to just make up a printable to insert in the front of all of my binders to keep track of all that important info in one quick, easy to read place. 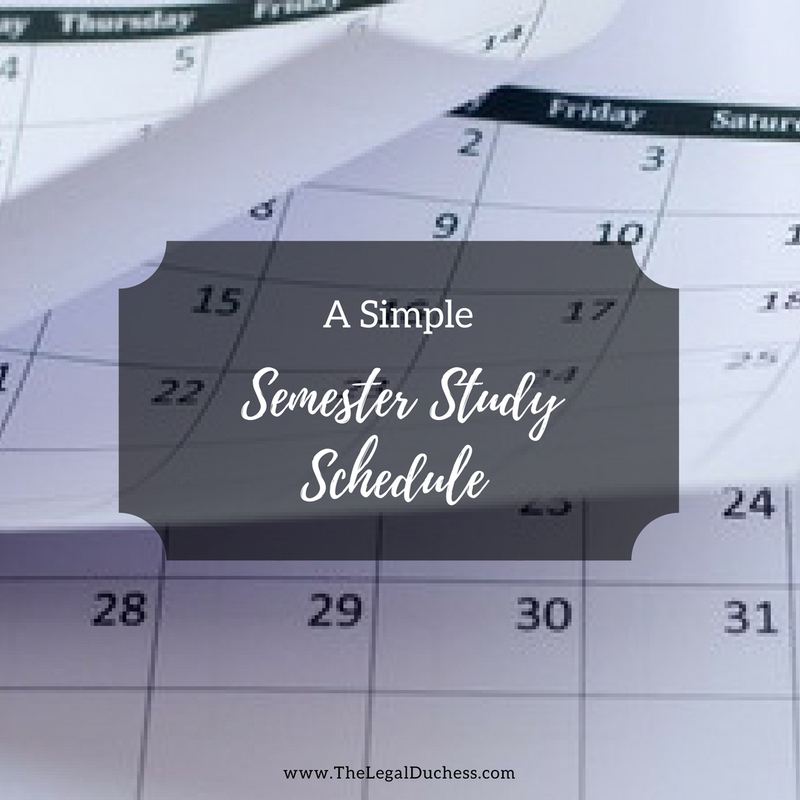 I like to plan out my semester study schedule right at the beginning. I go through the syllabus very closely to figure out what the semester will entail. I write down all assignments in my planner (in pencil of course) and make sure I have the exam location, date and time figured out. I also like to have an idea of what the class appears to I found that giving myself some deadlines (when to have the outline finished, etc.) really helps me to stay productive and on top of things. If I have no deadline, even when self-imposed, it is much easier to procrastinate and put it off.. Also, having all the big assignments and their due dates right up front makes it harder to forget anything. 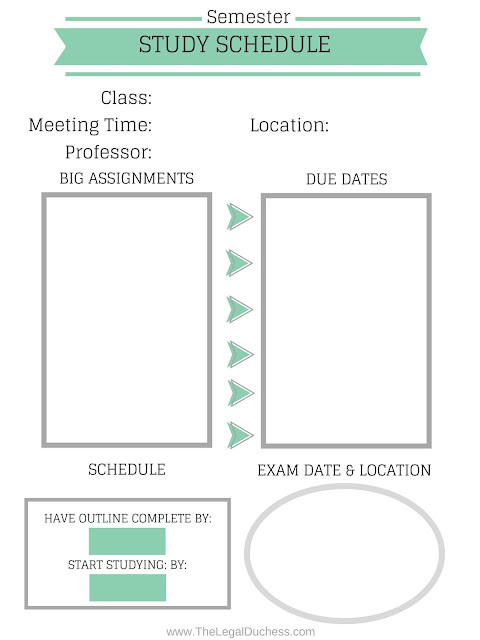 I made up this printable semester study guide to help with semester planning. I am going to print one out for each class, fill it out and put it in the very front of my binder for the coordinating class. 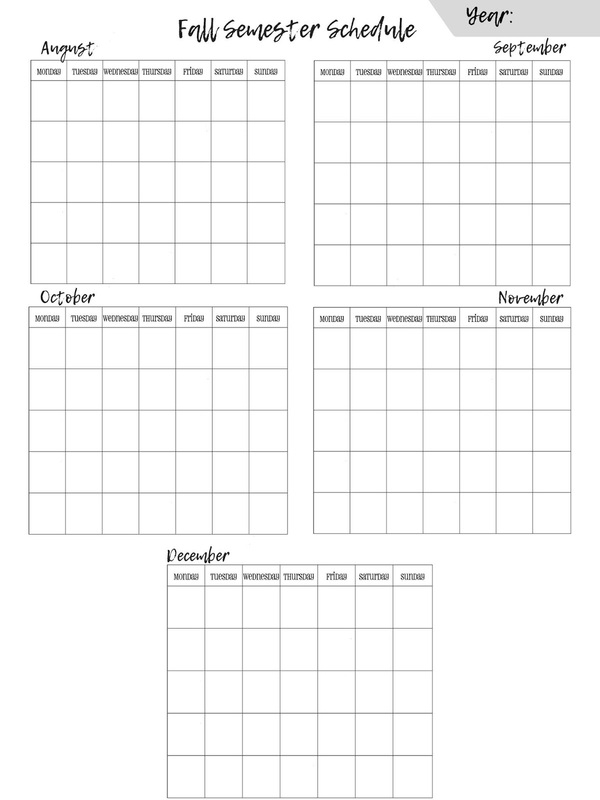 I have made the PDF printable and available for free: follow this link to print your own! Along with the individual study schedule sheet for each class, I like to have a layout for the entire semester with any of the important dates written down and my own self-imposed deadlines for all my classes. I hang this on the corkboard above my desk as a quick glance overview of my semester study schedule. The details are in my planner and on the individual study schedules for each class but this is a quick way to keep track of all my classes and all my deadlines. Law school is like juggling 6 balls at super speed so having everything organized and laid out really helps to keep it all straight. I color code my classes and assign each class a specific color so, on this semester calendar, I can just fill in the date box with a coordinating color to let myself know that there is something that day and I need to check my planner for what that is. 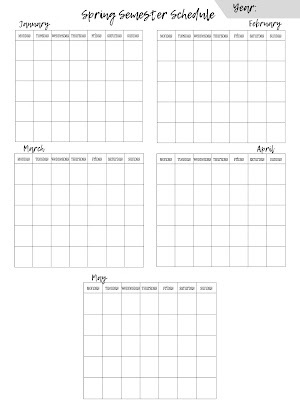 I made a printable of my semester-long study schedule as well- one for Fall and one for Spring. All you have to do is fill in the dates for that particular year. The PDF's are printable for free here: Fall and Spring. I find that the more organized I am in the beginning of the semester, the more organized I stay throughout the whole semester. 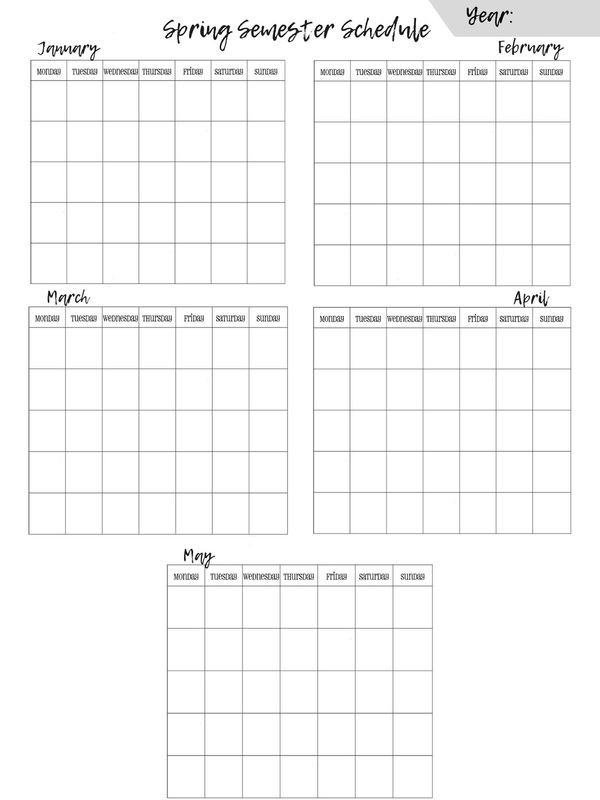 I hope these little printables I use help you to get organized and stay organized as well!